Back at the Castle | how 'bout some cake? 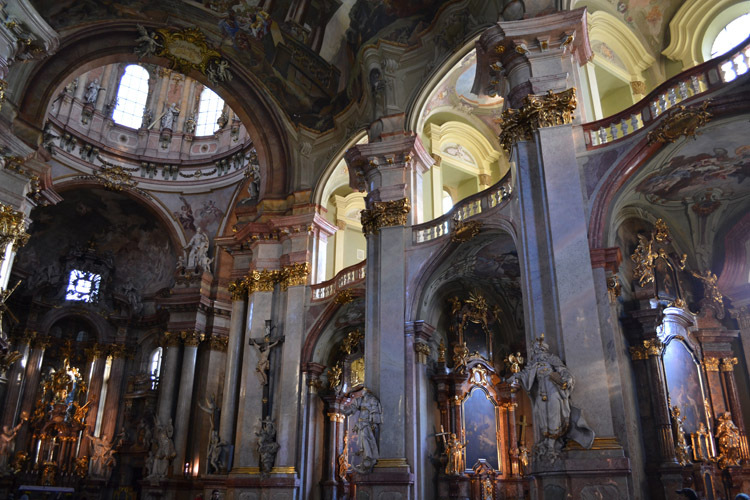 After realizing that I had indeed found Prague castle, I realized that I’d also missed out on quite a lot. So I returned today for a more comprehensive visit. On the way there I stopped to see St. Nicholas Church. It’s a pretty building with a fairly simple exterior that doesn’t stand out too much (considering how pretty all the buildings are here). I couldn’t believe my eyes when I walked in. It’s easily the most ornate building I’ve ever been in. I don’t think words could do it justice, so I’m going to let the photos speak for themselves. 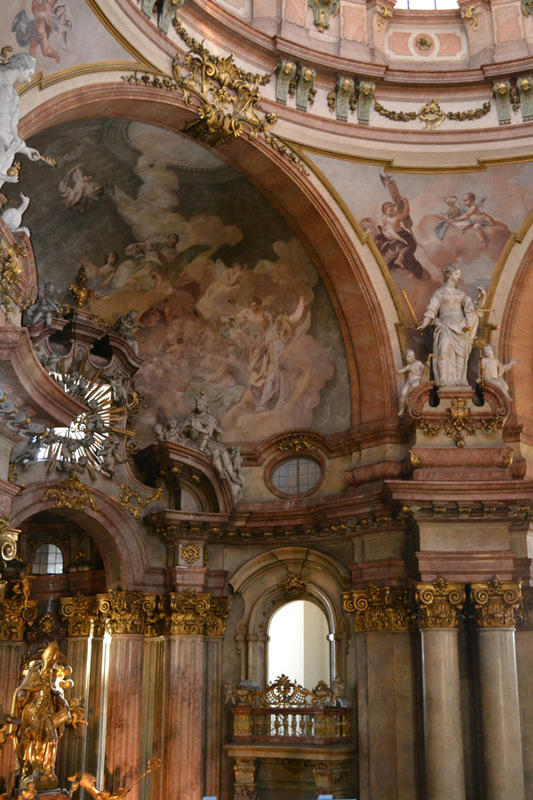 Whether or not you care for baroque architecture, this church is impressive. 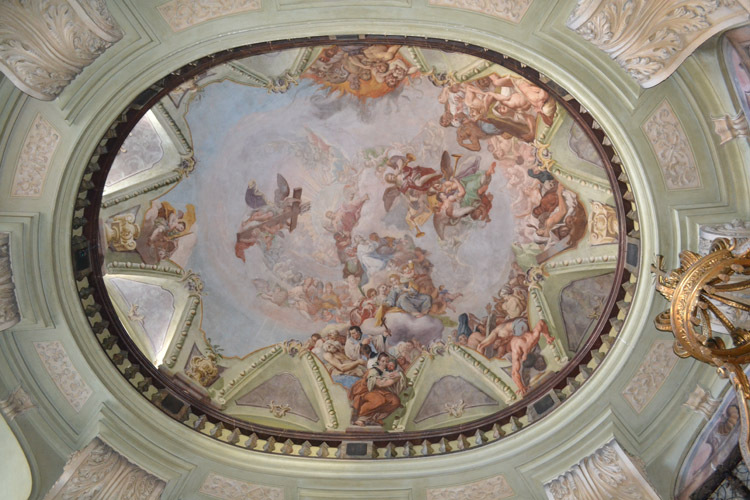 It dates back to the early 1700s and Mozart himself performed there. I could have spent all day there marveling at the opulence; it truly knows no bounds. Leaving St. Nicholas’ Church, I again climbed the 200+ stairs up to the castle. 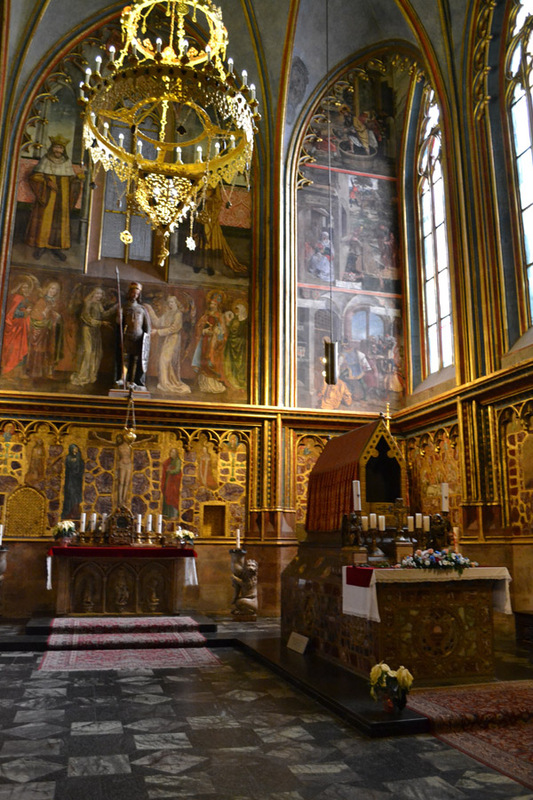 I headed straight for St. Vitus’ Cathedral, which is the gothic one I’d popped into yesterday. This time I bought the admission ticket and got to explore beyond the entry-way. There was much more to see than I expected. 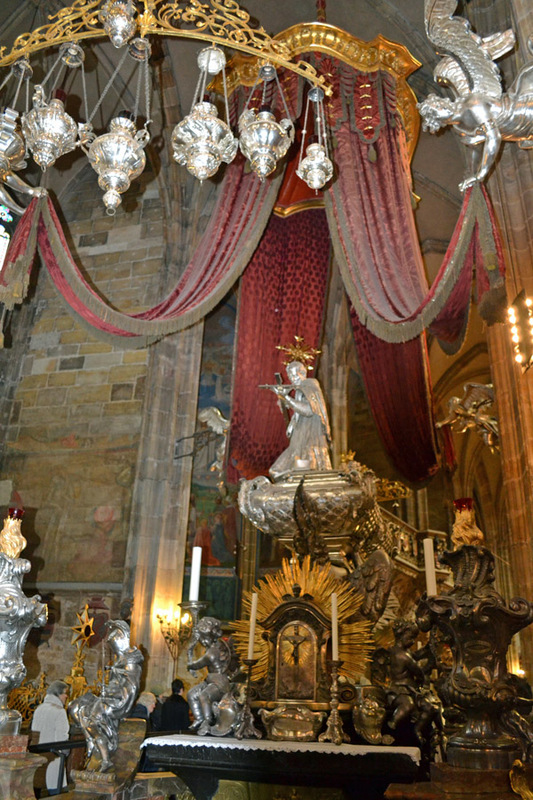 Although it paled in comparison to St. Nicholas, this church too was packed with extravagant displays of wealth. Here’s another photo of the outside. 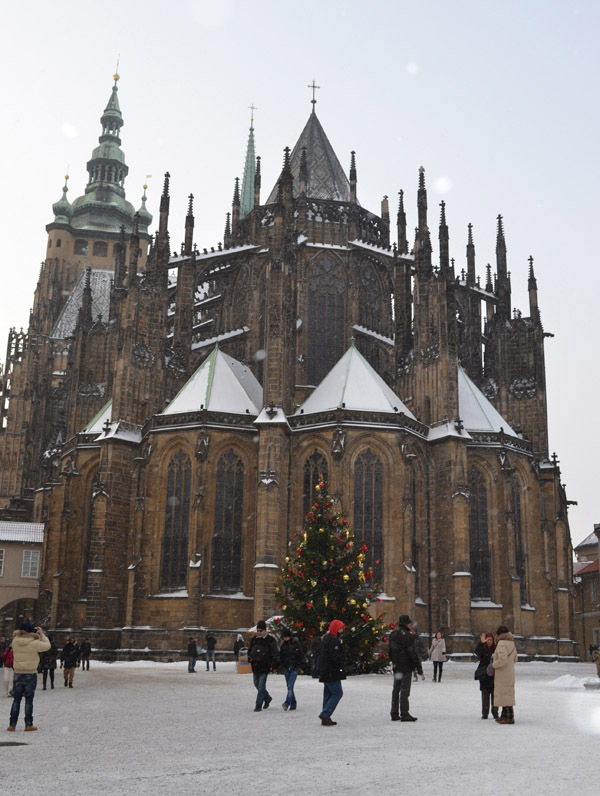 St Vitus Cathedral, looking majestic in the snow. I went next to the Golden Lane, which is where several tiny little houses were built into the wall that surrounds the castle. They were tiny- ancient Czech’s must have been the size of hobbits! Most of the homes have been converted into stores, but some are still arranged with authentic items to demonstrate the ancient living quarters. These unbelievably small, humble homes were a stark contrast to the extravagant cathedral just a few hundred feet away. 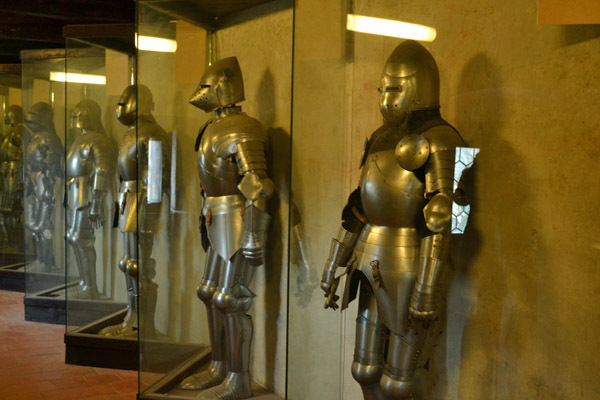 Also on display were these suits of armor dating back to the 1200s. By this point, my toes were numb with cold so I stopped into a cafe and thawed out while enjoying a nice hot wine. Then I made the trek back to the hotel, ordered room service, and climbed promptly into bed to enjoy a nice hot soup. While there’s still a lot of the castle that I haven’t seen, I’m glad I made the return trip. P.S. Today is the last day to enter my giveaway with Peppermint Lollipops, so be sure to enter here to win the lovely rose gold necklace! 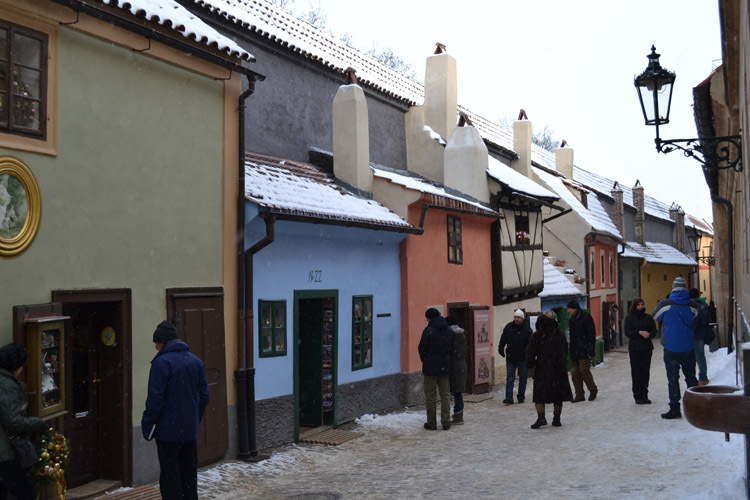 This entry was posted in Travel and tagged Prague, Prague Castle, Travel. Bookmark the permalink. I hope we get to enjoy some of that hot wine with you at Christmas! WOW! The amount of detail in the church and the castle is amazing! The pictures are beautiful so I can only imagine what its like to see it in person. Stay warm out there!! What breathtaking pictures! Thanks for sharing. Those pictures are so beautiful. Stay warm! wow, beautiful! 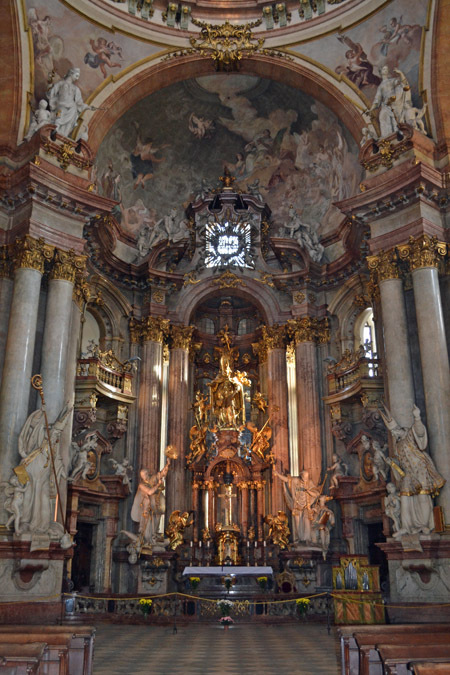 I love how churches are in europe. Me too! I feel like America got so jipped in that area! Wow, those cathedrals are stunning. 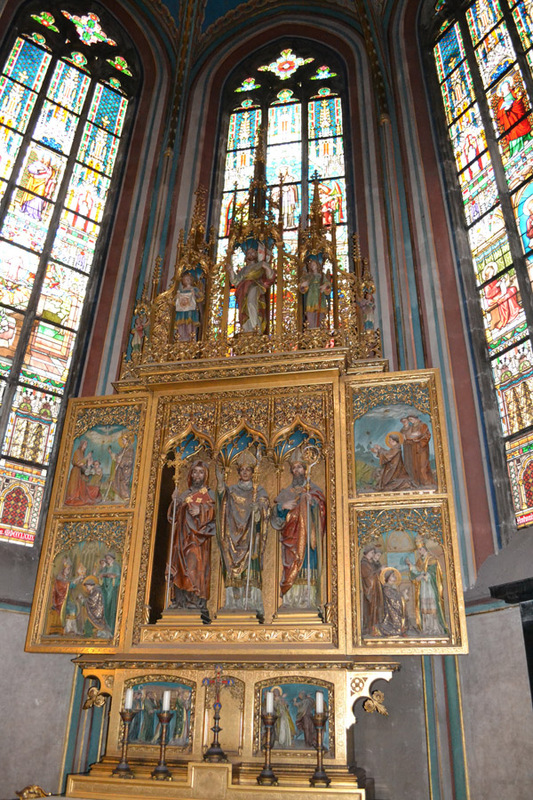 I loved the stained glass in the second one, St. Vitus! Glad you made the return trip, it looks like it was definitely worth it. Seriously, these posts are making me sooo jealous.